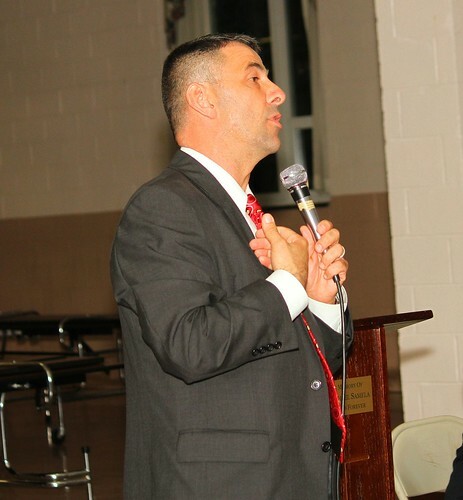 On Wednesday, October 27th, the East End Civic Association held a meet the candidates night. Acting District 3 Councilwoman Roxie Stowe was introduced and reinforced her commitment to the concerns residents may have . Also on hand to speak were candidates Cynthia Lobo, Jim Maisano, Bill Reed, and Suzi Oppenheimer. The events led up to a question and answer session with District 3 candidates Peter Parente and Jared Rice. Peter Parente was able to show just how much a part of the community he is as he shared his own experiences with spiraling taxes, flooding, and the importance of his own son sharing some of the same opportunities he enjoyed growing up in New Rochelle.